From bags washing up on Bali's beaches to food packaging scattered across roads and clogging waterways in cities, Indonesia is facing a plastic waste crisis driven by years of rapid economic growth. 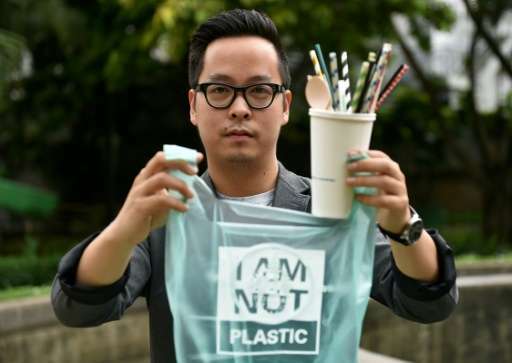 Now an entrepreneur from Bali, disgusted at the rubbish littering the famous holiday island, is trying to tackle the problem with alternatives to conventional plastic. His company, Avani Eco, produces goods including cassava carrier bags, takeaway food containers made from sugar cane and straws fashioned from corn starch, which founder Kevin Kumala says biodegrade relatively quickly and don't leave any toxic residue. "I'm an avid diver and surfer, and I'm out there seeing this plastic pollution in front of my very eyes," says Kumala, explaining why he decided to get into the business of biodegradable plastics, known as "bioplastics". After witnessing the pollution around Bali, he insists tackling the problem is "something that needs to be done". His project comes at a critical time for action on the issue. A 2016 report by the Ellen MacArthur foundation warned that by 2050 there will be more plastic than fish in the ocean, measuring by weight. At the World Economic Forum in Davos this January, 40 of the world's biggest companies agreed to come up with cleaner ways to make and use the material. 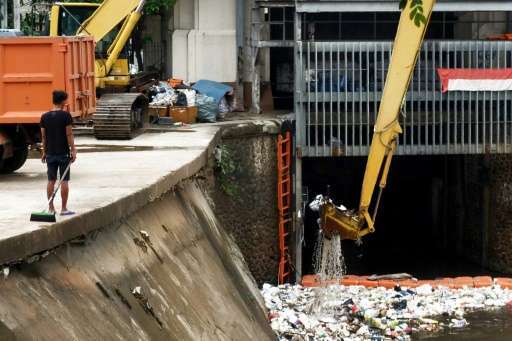 In Indonesia, the waves of plastic flooding into rivers and oceans has been causing problems for years—waterways in cities become clogged, increasing the risk of floods, as well death and injury to marine animals who become tramped or ingest plastic packaging. The archipelago of over 17,000 islands is one of the worst offenders when it comes to marine littering, with US charity Oceans Conservancy estimating the country dumps the second-highest amount of plastic into the sea, behind only China. Kumala set up Avani Eco several years ago with its headquarters on Bali and a main factory on Java island, and the biodegradable goods went on sale in 2015. The most popular product is the bags made from cassava—an edible tropical root that is cheap and abundant in Indonesia—with the words "I AM NOT PLASTIC" emblazoned on them. The entrepreneur, who is a biology graduate, is happy to demonstrate the bags are not harmful—he put some material from a cassava bag into a glass of hot water, watched it quickly dissolve, and then gulped down the resulting concoction. "It gives hope to sea animals, they are no longer choking or ingesting something that could be hazardous," he said. About three tonnes of the bags are produced a day at the Java factory and sold to businesses including shops and hotel groups, mostly in Bali and across Indonesia, but also to a growing number of companies abroad. Being environmentally friendly does cost however, with a cassava bag typically about three US cents more expensive than a plastic bag. The material for the other products Avani Eco sells are sourced in Indonesia, but some items are currently made in China as it is more cost effective to do so—though this does add to their carbon footprint. Kumala says the final products can biodegrade in just a matter of months—and the bags disappear almost instantly in hot water—unlike the years required for conventional plastic to break down. However other bioplastics have long been on the market, and the United Nations Environment Programme (UNEP) has expressed scepticism about the industry. The UN body concluded in a 2015 report that they tended to be more expensive and were unlikely to play a major role in reducing marine litter. Bioplastics are defined as plastics made from materials such as corn starch and vegetable fats and oil, while common plastics are made from natural gas or petroleum. UNEP senior official Habib El-Habr, who works on protecting the marine environment, said bioplastics were "innovative solutions" that could be part of a long-term solution, but added: "We don't know enough about this technology." He said the UN body favoured the management of plastic through such strategies as working with big companies. Still Indonesia needs all the help it can get to deal with its waste. Current rubbish collection and disposal systems are inadequate to deal with rising plastic use. Tuti Hendrawati Mintarsih, a senior official from Indonesia's environment ministry who deals with waste, conceded there was currently no government funding specifically aimed at reducing plastic waste. However she said authorities were planning to implement a nationwide scheme compelling shops to charge for plastic bags this year, a scheme that has been trialled in other cities and has successfully reduced usage. Despite the challenges, Kumala is upbeat that Indonesia's plastic scourge can be tackled and has plans to expand to other countries in the region. 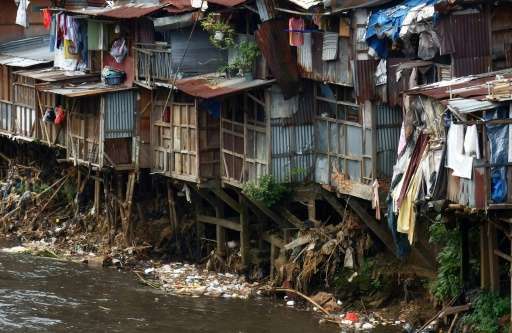 He explained: "The whole of Asia is really drowning in an ocean of plastic pollution."